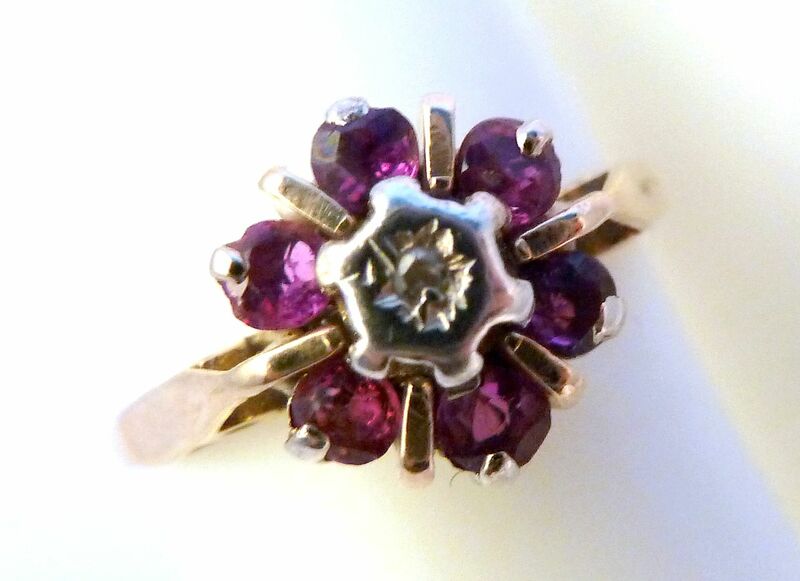 Vintage 9ct Gold Diamond And Ruby Cluster Ring. 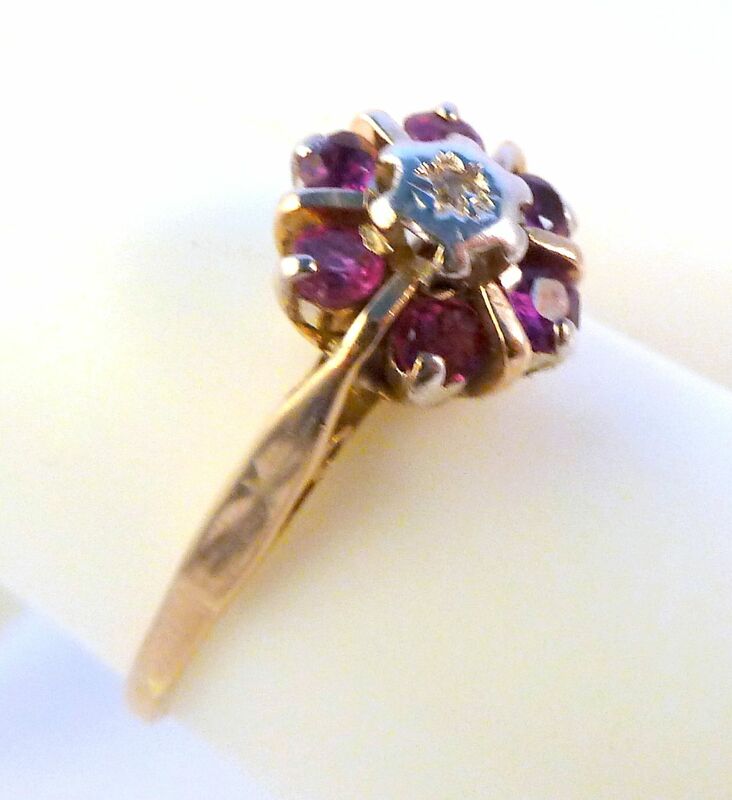 Vintage 9ct gold, diamond and Ruby Cluster ring. Circa 1977. 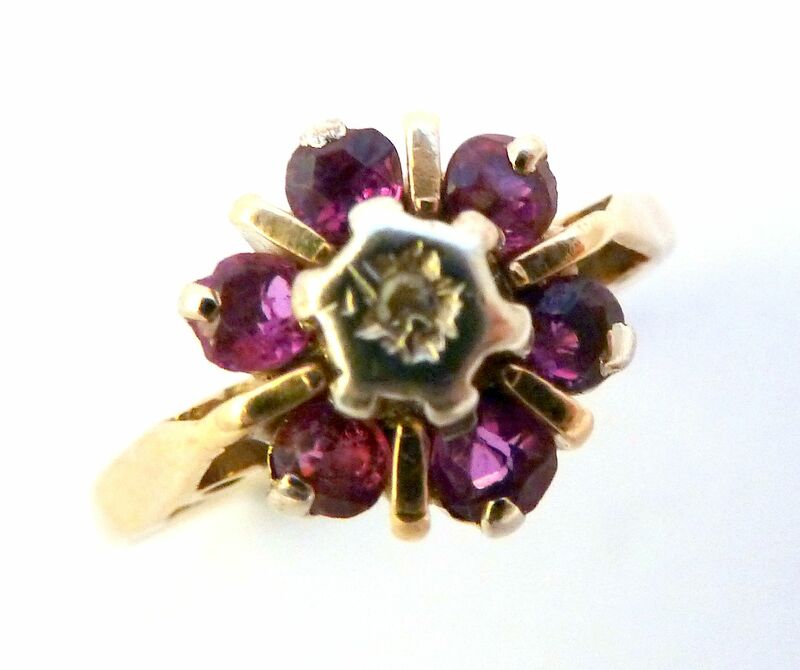 Vintage 9ct gold, diamond and ruby cluster ring. Featuring a centrally set diamond set within a ruby cluster. 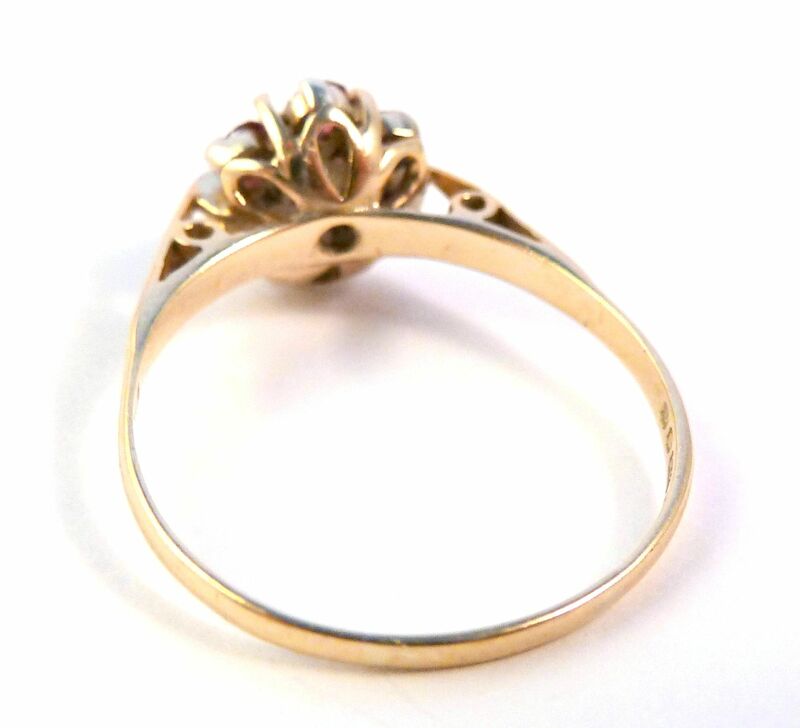 The ring is Hallmarked for 9ct gold, London 1977. The ring is a UK Size P, US size 7 3/4. Ring Size UK P, US 7 3/4. 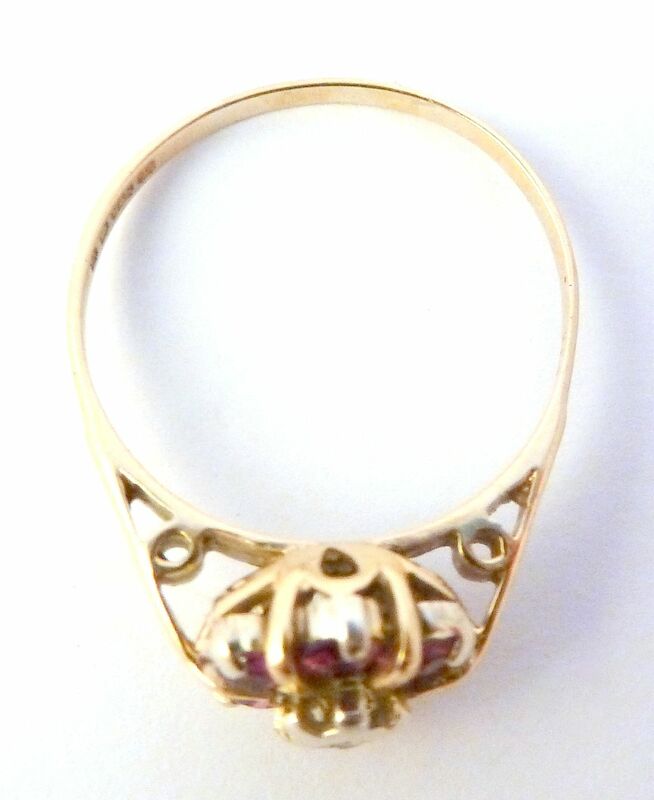 Hallmarked for London, 9ct gold to the inner band of the ring, with date stamp 1977. Very good condition, minor wear in keeping with age. A stunning, vintage 1977, 9ct gold diamond and ruby cluster ring.